Limited Edition Strategy, Packaging Design, Illustration, Production Management. 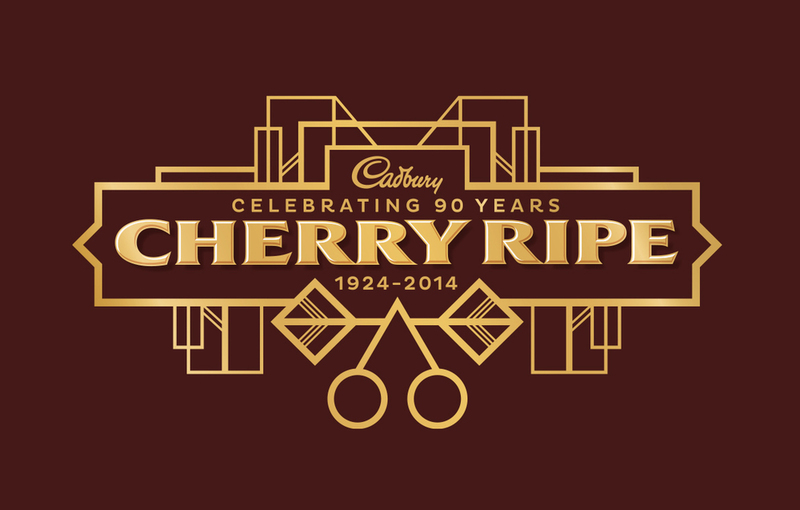 Cherry Ripe's 90th birthday was a landmark event for Cadbury. It presented the perfect opportunity to celebrate and spoil chocolate lovers with the decadence of a Limited Edition Cherry Ripe Dark Ganache. To celebrate the big event we wanted to pay homage to the brand’s origins, expressing the true indulgence and extravagance of the 1920’s Deco period. The use of elaborate pattern-work and soft metallics, enabled us to step-up from the everyday offer allowing consumers to recognise the product as a landmark celebration and something special to cherish.